Ultra: Seven Days Deluxe Edition In Spring City, where superheroes blur the line between law enforce.. Spawn Collection, Vol. 1 (v. 1) Witness the power of pure McFarlane with this essential collection o.. Empty Zone Volume 1: Conversations With the DeadEisner nominated artist JASON SHAWN ALEXANDER (Abe S.. The Fade Out, Vol. 2BRUBAKER & PHILLIPS' newest hit series, THE FADE OUT is an epic noir set in the ..
Rat Queens Volume 2: The Far Reaching Tentacles of N'Rygoth (Rat Queens Tp) A brand-new, booze-soake.. 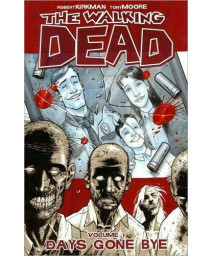 The Walking Dead Volume 22: A New BeginningThey've survived the walkers. Survived war with a ruthles.. 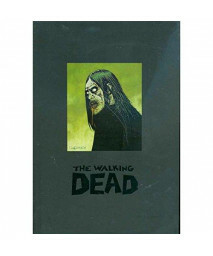 The Walking Dead Omnibus Volume 2 (v. 2) This deluxe hardcover features the next 24 issues of the hi.. The Walking Dead, Vol. 7: The Calm Before The world we knew is gone. The world of commerce and frivo.. The Walking Dead: Something To Fear, Vol. 17 The world we knew is gone. The world of commerce and fr.. The Walking Dead, Vol. 1: Days Gone ByeThe world we knew is gone. The world of commerce and frivolou.. The Walking Dead, Vol. 8: Made to Suffer The world we knew is gone. The world of commerce and frivol.. The Walking Dead Volume 25: No Turning BackAfter a devastating act of war by the Whisperers, Rick mu..
Lady Rawhide: It Can't Happen Here .html Specification of Lady Rawhide: It Can't Happen Here GENERA.. Kill or Be Killed Volume 1The bestselling team of ED BRUBAKER and SEAN PHILLIPS (THE FADE OUT, CRIMI..
Paper Girls Volume 3The multiple Eisner and Harvey Award-winning series from BRIAN K. VAUGHAN and CL..
Oblivion Song by Kirkman & De Felici Volume 1A decade ago, 300,000 citizens of Philadelphia were sud..
An evil spell has been cast on the Queen of Maar and her Captain of the Guard will do anything to re..
Skyward Volume 1: My Low-G LifeOne day, gravity on Earth suddenly became a fraction of what it is no..
Before the Dawn Burns Us, Vol. 2 (Low) In the far future, a time when the sun’s radioactive expansio..
Unnatural Volume 1Leslie J. Blair is a simple pig girl, she loves sushi and she is trapped in a job ..